While trying desperately to find some paper scraps I had hidden from myself so I could complete a handmade box order, I stumbled across a page I had torn out of an issue of Gourmet a few years ago. A habit I have adopted from my mother (I couldn’t tell you how many times I’ve “organized” her recipes), sometimes I tear things out of magazines and squirrel them away. 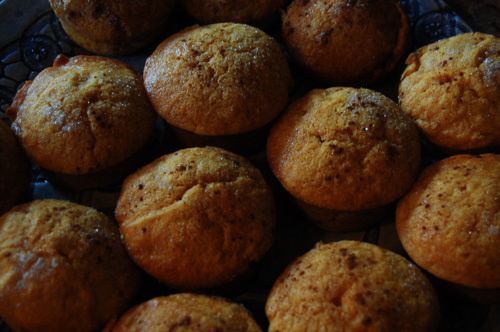 Anyway, this recipe for Pumpkin Muffins provided me with the perfect opportunity to use the cups and cups of pumpkin puree I have leftover from my sugar pie pumpkin experiment. This recipe is very easy, and very low maintenance. 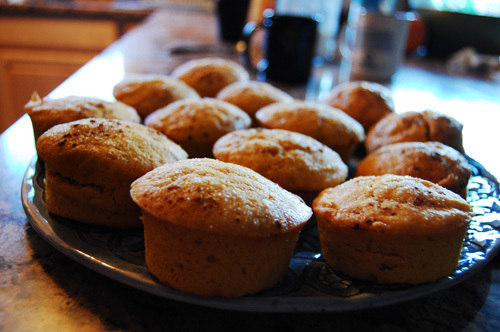 So, that leaves me plenty of time to tell my favorite muffin-related story. In college I was required to take color photography, and the semester I took it, the head of the department (who usually teaches the class) was on sabbatical. So I got a fresh-out-of-grad-school MICA alum, who was well… stuck up. And she hated me. I’ll admit that I tend to be outspoken, I make too many jokes, and I have a tendency to go on tyrants, but I don’t know that I deserved all the hate she threw my way. Except for this one day. So we’re sitting in class, in the middle of a critique. It was a morning class, so it was about 9.30 in the morning, and she was sitting on the opposite side of the room from me. And I was (unbeknownst to me) suffering from keratitis at the time, so my vision was blurry. Oops. I felt really bad. As much as I hated her, pointing out a gaping sore on her face in front of everyone was especially cruel, even if it was an accident. So the next week, I decided to bring her a peace offering. The cafe near campus, On the Hill, has delicious muffins. So before class, I stopped by and got two muffins, a blueberry and a cranberry. I will preface this by saying that of the two, I would have preferred the cranberry. I walked into class, and walked up to her and said “Corrine, would you like a peace muffin?” Not so much. 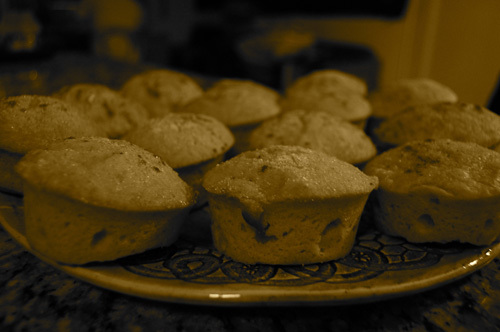 She glanced up at me, and said “I don’t like muffins.” So I told her that because it was a PEACE muffin, she couldn’t refuse it, to which she replied that she guessed she’d take the cranberry. So she took the muffin that I wanted, and then didn’t eat it. A delicious, $3 muffin brimming with cranberries and sparkly sugar, to waste. Preheat to 350*. Whisk together flour and baking powder. 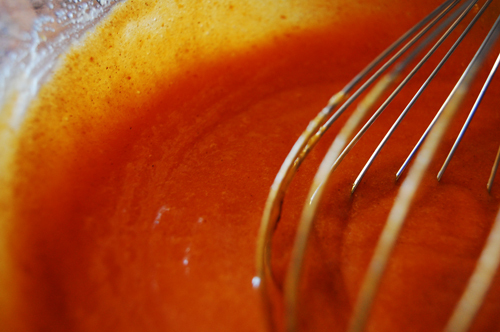 In another bowl, combine pumpkin, eggs, vegetable oil, sugar, baking soda, and salt. Once it’s smooth, add in the flour mixture. 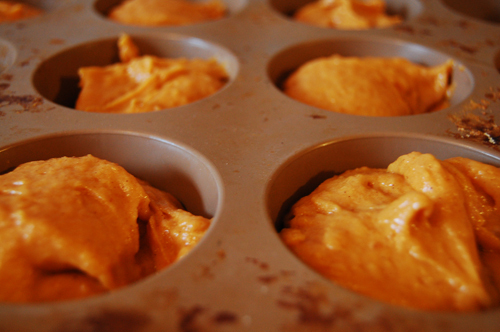 Pour into muffin pan. Mix cinnamon and sugar together and sprinkle ontop. Bake for 25 to 30 minutes. Schmear with a little butter, and remember that even though pumpkins will be out of season soon, eventually it will be spring.